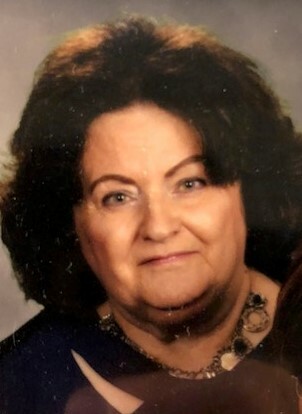 Barbara Marie Tuckerman, 76, of Fremont, OH passed away at her home on Wednesday, February 7, 2018. She was born on April 11, 1941 in Fostoria, OH, the daughter of William and Catherine (Emerine) Wolph. She graduated from St. Wendelin High School in Fostoria, OH. Barbara was the Director and Deputy Director for Sandusky County Board of Elections from 1987 until she retired in December 2017. Her hobby was politics. Barbara was a Central Committee member and Chairman of the Democratic Party in Sandusky County for many years. She enjoyed reading and spending a lot of time with her grandchildren and great grandchildren. Barbara is survived by her children, David (Katie) Tuckerman, Columbus, OH, Kristine (Ralph) Brown-Mancini, Fremont, OH, Eric (Roxanne) Tuckerman, Clyde, OH and Joel Tuckerman, Perrysburg, OH; siblings, Vincent (Sandy) Wolph, Fostoria, OH, Mary (Bill) Brickles of Michigan, Jim Wolph, Fostoria, OHDon Wolph of Maine, Kathleen (Larry) Anderson of Tennessee, William (Irma) Wolph, Jr. and George (Camille) Wolph both of Fostoria, OH; sister-in-law, Patricia Wolph of Florida; grandchildren, Greggory and Matthew Tuckerman, Adam Brown, Robert, Angela and Ralph Mancini, Trevor and Mitch Tuckerman, Brittany and Spenser Ford, several great-grandchildren and numerous nieces and nephews. She was preceded in death by her parents and brother Charles Wolph. A Gathering of Family and Friends will be held on Saturday, February 17, 2018, from 2 pm to 5 pm at Wonderly Horvath Hanes Funeral Home and Crematory, 425 E. State St., Fremont, OH 43420. In lieu of flowers memorials contributions can be made to Easter Seals or the American Red Cross. My father is very active in the Democratic party and I knew of Barb through some of the functions; and as of the past few years I had the honor to be Barb’s stylist. As I got to know Barb I looked forward to hear her take on world issues and I enjoyed our lively conversations. Most importantly, I will always remember her generosity and how she truly cared about her family and friends. So saddened to hear about Barb’s passing. I use to babysit for Barb. She was a wonderful mother and a loyal friend. She introduced me to politics at an early age while she was a young mother. I help campaign for Gilligan with her. May she rest in peace. Although I have not seen Barb in many years, I remember her as a strong, beautiful, and giving human being. She was my childrens’ Aunt, and I will always think of her with fondness and admiration. So sorry to hear of Barb’s passing. We were classmates for 12 years, friends for a long time, even if we politically disagreed, and shared April birthdays. She will be missed. I am so shocked and saddened to hear of Barbara’ passing. During our 12 years together in St. Wendelin schools we shared many happy times and will always be in my memories. While we were not able to get together for many years we did communicate by email. Our deepest sympathy to Barbara’s family, you are in our prayers. Sorry to hear of my former classmate’s passing. Will keep her in my thoughts and prayers. So sad to hear of Barb’s passing. As Cathy Stone said, Barb really introduced us to politics and the thought that we could make a difference. She was also very supportive of our founding of the Fremont Teen Theatre. We’ve been able to catch up through the years. I just got to see her last year after a long time. My deepest sympathies. We are all sorry for the loss of one of your family members. Although she was a family you married into the family bond and love was still there. Know that at this time of grief we feel your pain and pray that in time God will see you through to better days. Knowing she is loved you will all have one more Guardian Angel watching over all of you as of now. One can never have enough of those Angels. She is at peace and enjoying the rest of the family she has missed until you all met again.